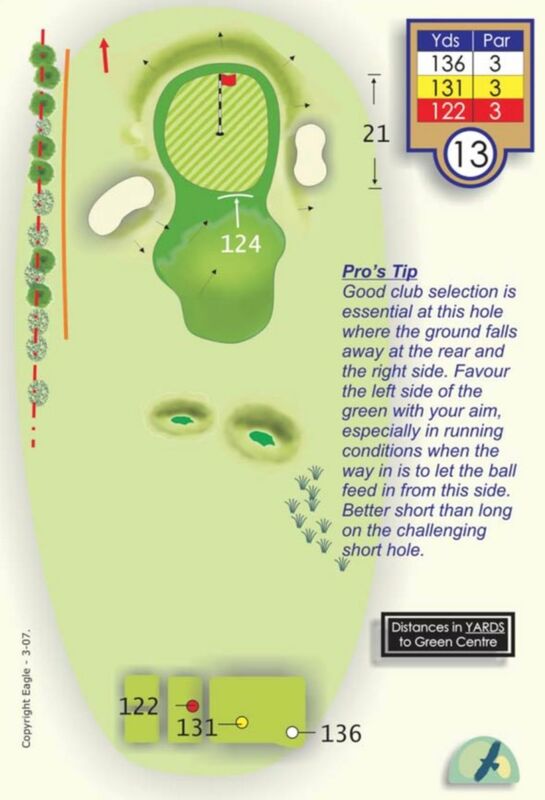 Length is the only reason that this hole is stroke index 18. Otherwise, it's a well-guarded par 3 with out of bounds left and the deep bunker you see above guarding the right side. Study putts from both sides on this green as the eye can sometimes deceive. As a rule, this green slopes slightly from front to back and not the other way as it appears on the approach.